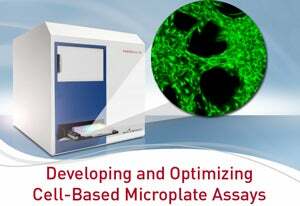 Looking to perform a microplate cell-based assay for the first time or would like to develop a higher throughput for your current cell-based assay? On 28 November at noon EST a webinar will be hosted by Drug Discovery and Development and BMG LABTECH, the Microplate Reader Company, to discuss developing and optimising cell-based assays in a microplate format. Many researchers look to translate their biochemical microplate assay to a cell-based format because biochemical assays can be limiting and misleading in the information that they provide. This growing trend has caused a surge in the development of many new cell-based microplate assays, as well as new developments in the instrumentation used to optimise these cell-based microplate assays. Join us on: Wednesday, 28 November at 12:00 EST. Participation in this webinar is free and we look forward to you joining us. For more information visit: http://www.bmglabtech.com/webinar/cell-based-assays.cfm.